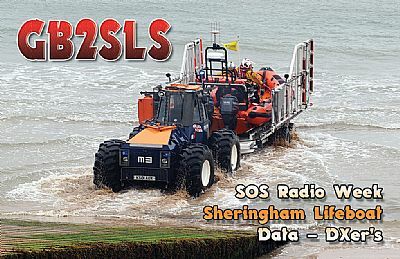 Once again the Data - DXer's will be operating from Sheringham Lifeboat Station during SOS Radio Week 2017 using the callsign GB2SLS. If you hear us give a shout and we will be pleased to add you to our log. The Data - Dxer's will be operating at the Beeston Regis Classic Car Rally 31 August 2016. The car rally is held on a cliff top field just North of Beeston Church. This is a fantastic site for the rally with sea views out to the Dudgeon Windfarm , East along the coast to Cromer and West to Blakeney Point. Well worth a look. Museum's on the Air 2016. 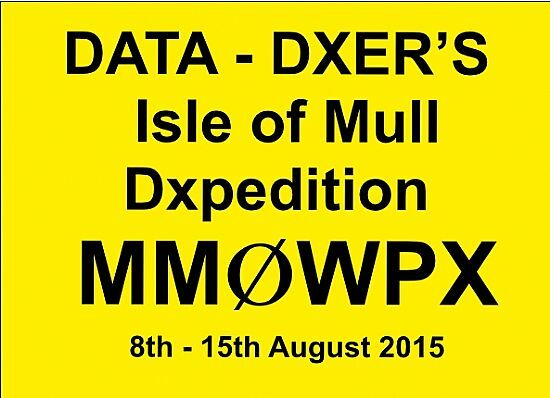 A Special Event Station will be run by the Data - DXer's from Sheringham Lifeboat Museum for this event. Date to be announced. The Data DXer's Dxepedition crew are Ken M0SHK = DD#001. Tim G0OOD = DD#003. Peter M3KYX = DD#004. Parsley 2E0MPM = DD#011. Donna M6HDM = DD#012. Peter G0PEQ = DD#010. 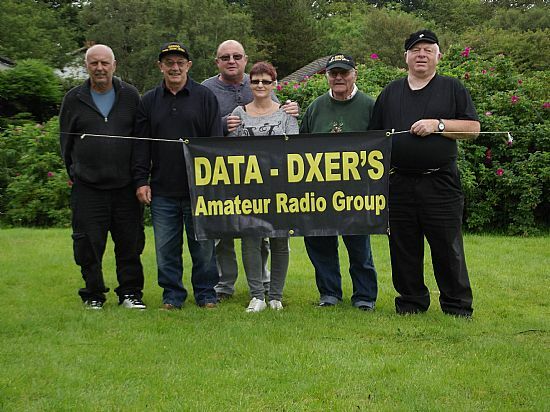 The Data - DXer's was formed during the summer of 2013 by a small group of dedicated Radio Amateurs from North Norfolk, UK who like to take part in international data contests. Membership to the Data - DXer's is by invitation only and membership will be closed at 25. During 2013 & 2014 the group met with some success in international data contests twice with a 2nd in the world, 1st in Europe and 1st in Great Britain in the multi operator all bands sections. During contests there is no pressure on memebrs, they can turn up when they want and stay and operate as long as they want, we find this all help to create a happy and contented group. At the request of the memebrs the Data - DXer's are branching out into Special Event Stations, VHF & HF contests. Due to the prohibitive cost of using the Bureau the Data DXer's do not use it. We are a small group of 17 members (at the moment) and as a result any cash is better spent esle where. E-qsl & direct are available. If sending cards direct, please include sufficient return postage. Failure to send return postage will result in your cards being ignored. QSL cards for direct QSLing will be printed as soon as a good design can be found. Please be a little patient.